How Many Watts Home Theater Do I Need? “How many watts home theater do I need?” is one of the most common questions that people who want to have their own theater ask. But before we find out the answer to that, it might be useful to find out where “watt” came from and how it was invented. First, let us define what watt is in layman’s terms. A watt is a unit for measuring mechanical and electrical power. It was named in honor of the Scottish inventor, James Watt. The unit of power was named in honor of him because of his contributions to the advancement of the steam engine and the invention of the concept of horsepower. A common mistake committed by most consumers is they equate wattage with the loudness of the amplifier and receiver. For example, you see two receivers that have a 150- and 75-watt power rating. It does not mean that the 75-watt receiver is less loud than the 150-watt one. 75 and 150 watts represent the power consumption of the equipment. In addition, the loudness of the speaker is measured in decibels (Db) and not in watts. Another important factor shown in the power rating label is the distortion. Distortion, also called as Total Harmonic Distortion, also known as THD, is defined as the amount of the harmonic distortion that is present in a signal and as the ratio of the total of the harmonic component powers to the power of the fundamental frequency. To put it simply, when the amplifier or receiver has a lower distortion rating, it means that the reproduction of the sound of an audio recording is more accurate. That leads us to the “signal-to-noise ratio, another necessary factor to consider. When the signal-to-noise ratio is higher in an amplifier or a receiver, it means it’s better because this is the ability of the equipment to eliminate unnecessary noise in the sound. Finally, the dynamic headroom of a receiver or amplifier is also critical because this allows a receiver to be able to handle sudden outbursts of loud sound levels. To illustrate, an explosion in a movie will need 20% or more gust of sound levels to produce the sound effect. So, the answer to the question, “How many watts home theater do I need?” is going to depend on your preferences. Although the wattage of your amplifiers, speakers, and receivers are important, your home theater needs more than that, which is why we discussed power ratings. We can then conclude that the power rating is the one that is needed to be given attention to instead of the wattage because the aforementioned is just a part of the power rating. Since we already have a good understanding of what power rating is, we’ve collated some of the best home theater systems to give you an idea of what to look for in a good home theater. 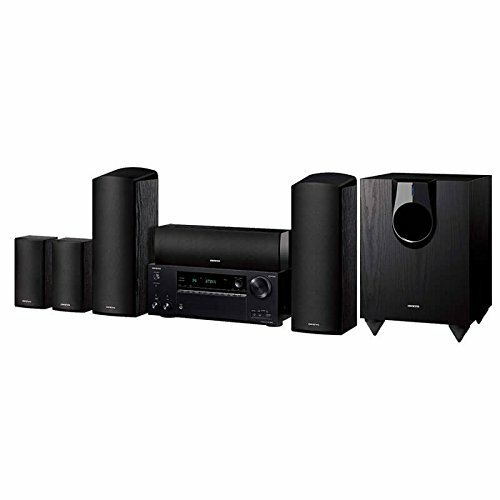 One thing worth noting on this home theater system is its great sounding speakers. Moreover, its receiver is loaded with a lot of inputs and outputs including eight HDMI inputs and lots of analog inputs and outputs. 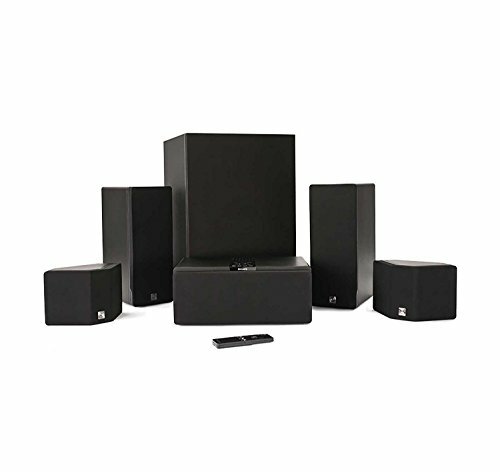 Another great feature of this system is it can support up to seven speakers and two subwoofers. Finally, it is capable of wireless connection so you can connect your phone or tablet to it. & You can easily buy it from any online store. The speakers of this home theater system produce good sound but audiophiles may find it average. Its receiver is the best part of this system because it has six HDMI inputs and one HDMI output. Moreover, it is capable of WiFi, Wireless Direct, Bluetooth, and Apple Airplay. One downside is it only has one HDMI input capable of supporting 4K content. 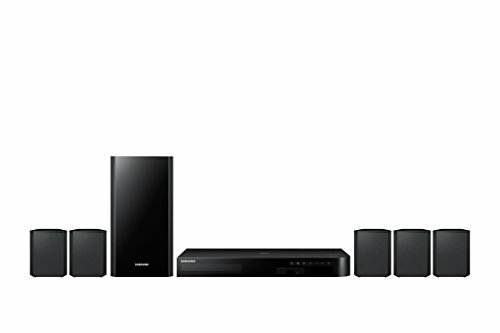 This is best if you are looking for a basic home theater system. It may not have the best speakers, but it is pretty decent for home use. The best part is the receiver is also a Blu-ray player. Therefore, you will still be able to play DVDs on it. On the downside, the receiver only has one HDMI output and one digital input. Moreover, you will not be able to connect any TV device with it. 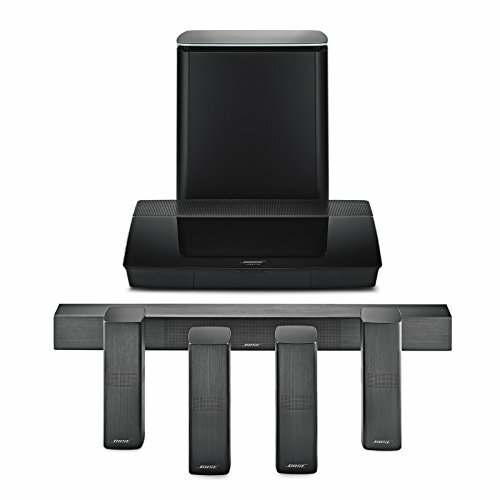 This home theater system is known for its excellent wireless support. Although this system is not completely wireless, it is not like other home theater systems that you would need to deal with a ton of cables. Therefore, it’s easy to install that even a newbie can do it. Furthermore, its receiver is not the best one but it’s a decent one, due to its 3 HDMI inputs and one HDMI output. Bose is known for its excellent sounding audio equipment, so this one did not fail. This top-of-the-line home theater system also features an elegant and minimalistic design, therefore, a great addition to your living room. Its receiver has tons of inputs and outputs including six HDMI inputs that support HDCP standards, two optical inputs and outputs, RCA, and auxiliary. Finally, it is also capable of wireless and Bluetooth connectivity. Having your own home theater is a pretty overwhelming endeavor, not only because of the jargons but also of the massive choices you have. So, getting yourself informed of what you need is what you need to do first before setting up anything.